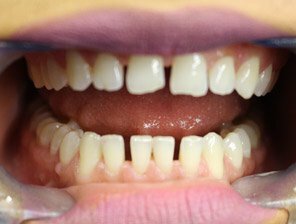 What is a Composite (white) Filling? 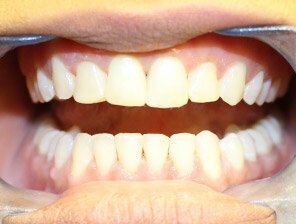 A Composite is a tooth coloured plastic mixture filled with glass (silicon dioxide). Composites are not only used to restore decayed areas, but are also used for cosmetic improvements of the smile by changing the colour of the teeth or reshaping disfigured teeth. Harden the filling by pointing a bright light at it, inside your mouth (you will see the dentist and dental nurse protecting their eyes) ? this is called ?curing? finish by trimming and polishing the filling as necessary. What are the advantages of a composite filling? Aesthetics are the main advantage, since dentist can blend shades to create a colour identical to your actual tooth. Composites bond to the tooth to support the remaining tooth structure, which helps to prevent breakage and insulates the tooth from excessive temperature changes. What are the disadvantages of a composite filling? After receiving a composite, a patient may experience post-operative sensitivity. Also, the shade of the composite can change slightly if the patient drinks a lot of tea, coffee or other staining foods. Composites tend to wear out sooner than silver (amalgam) filling in larger cavities, although they hold up as well in small cavities. Studies have shown that composites can last up to 7-10 years, which is comparable to silver fillings except in very large restoration.